“Ayikodans performances a triumph!” exclaimed the headline in the Miami Herald. 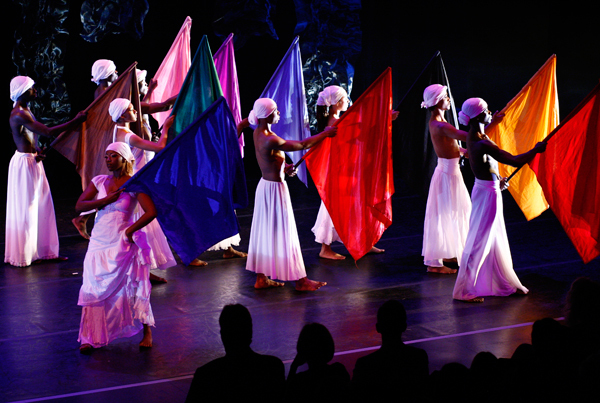 “A weekend of shows to benefit the beleaguered Haitian dance troupe was a rousing success that exceeded organizers’ hopes,” said Herald dance critic Jordan Levin. Intensely aware of the precarious position of many Haitian arts groups following the catastrophic 2010 earthquake, the Center committed to producing a fundraiser for the company—originally two performances, which grew to three due to the extraordinary demand for tickets—scheduled for May 21 & 22. The Center also commissioned a new work from the company, set to premiere in Miami in the spring of the 2011/12 Dance at the Arsht season.The goal was to help the company through its immediate challenges—and the Adrienne Arsht Center convened an outstanding group of community leaders committed to helping Aykodans develop long term tools for success so that they can continue to inspire pride in the strength, beauty and richness of Haitian culture. 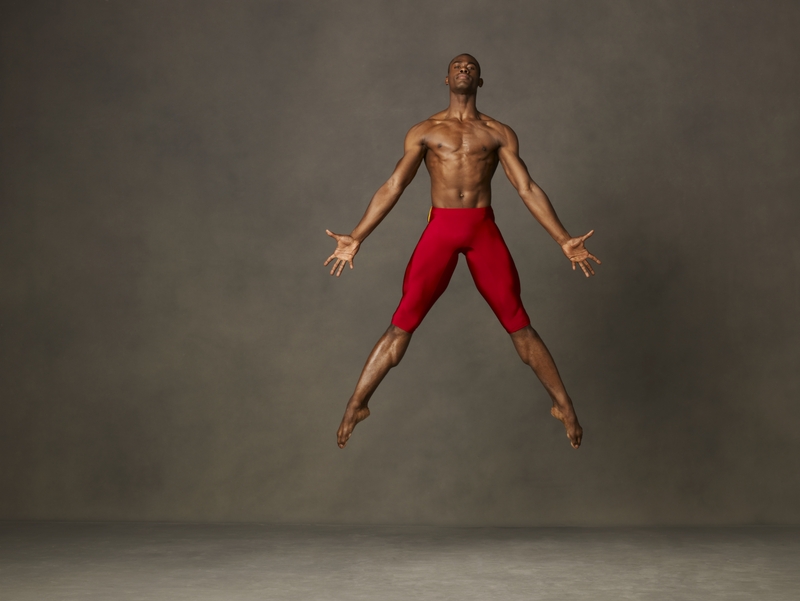 Supporters of the modern dance group, which is led by Haitian choreographer Jeanguy Saintus, raised $117,000. An additional $141,874 in-kind support was secured from a dedicated committee of influential Miami leaders. Support included professional expertise, creative talent, products and other resources, much of which will benefit Ayikodans long into the future. A future that—with these efforts and the company’s own bounty of artistic gifts—is now bright with promise. Amid the excitement of the approaching end of what has been a remarkable 5th Anniversary Season, the Adrienne Arsht Center hosted its first-ever State of the Arsht presentation earlier this month. The event was part of the Center Advancement team’s series of 5th Anniversary signature events, which also included the season preview Insider’s Look, the Bombay Sapphire Lounge Private Donor Opening, the 5th Anniversary Season Gala, and the recent Green Room Society Spring Fling. Indeed, the Center has come a long way since it opened its doors in the fall of 2006 by serving the community through its many and diverse arts education and outreach programs. For example, Learning Through the Arts thus far has invited 52,000 Miami-Dade fifth graders to come see a free live performance at no cost and will soon bring a new class of fifth graders to the Center this fall. Free Gospel Sundays brings nearly 2000 music lovers four times each year to the Knight Concert Hall for a free concert by the finest local gospel choirs and award-winning gospel stars from around the country. All these accomplishment have come about with strong leadership and responsible fiscal management—the Center, in fact, has maintained a balanced budget for the last three years. In this regard, Carlos Garcia, partner at Goldstein Schecter Koch, stated “we believe in the Center and what it is doing for our city.” Indeed, these accomplishments underscore strong private, corporate, and public support, for which the Center is grateful. One of the ongoing commitments of the Adrienne Arsht Center to our community is to be accessible to everyone regardless of disability challenges. In addition to the Saturday matinee sign-interpreted and Sunday matinee open-captioned Broadway in Miami performances already offered for deaf and hearing-impaired guests, this season the Center introduced audio descriptions for blind and vision-impaired guests for the Sunday matinee performances. And just recently, the Center added another program— touch tours for The Nutcracker and Beauty and the Beast, in collaboration with Miami City Ballet and Broadway Across America. For The Nutcracker, Edward Villella, Founding Artistic Director and Chief Executive Officer of Miami City Ballet, generously gave his time pre-performance to give the history and description of a number of the costumes and props used in the production. A group of vision impaired guests had the opportunity to touch the costumes to fully enjoy the texture and style of the silks, satins, and lace and to handle the props. While everyone enjoyed the delicate costumes of the Flowers and the Sugar Plum Fairy, the overall favorite for tactile richness was that of the Rat King. The touch tour literally set the stage for the performance that followed. 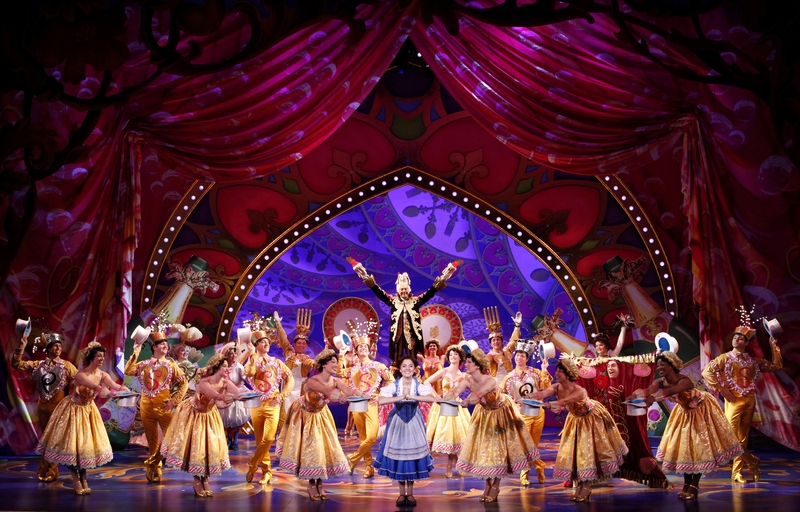 Having received rave reviews from our guests, we approached the Beauty and the Beast company and asked if they would also agree to share their time with our guests. While the touch tour for The Nutcracker was held in the Next Generation Green Room of the Ziff Ballet Opera House, for Beauty and the Beast our guests along with their companions went right on stage where they had the opportunity to touch not just the costumes and props, but also the actual set. Being on the stage also gave guests a first-hand understanding of the length and breadth of the performance space. The entire experience was deemed thrilling, but most agreed that the highlight of the tour was meeting the Beast! Although not every production lends itself to touch tours, the Center will continue to explore the opportunity to offer this service for our vision impaired and blind guests whenever possible with the goal of making the Adrienne Arsht Center, our home, a welcome place to experience great performances and superior guest service for everyone. It’s two turntables and a microphone. It’s lyrics to go. It’s straight outta Compton, Queensbridge, and Miami! It’s hip hop – one of America’s greatest cultural expressions, and it’s alive and well at the Adrienne Arsht Center like never before. Last week a dozen young dancers took the best of hip hop from the streets of Philly to the stage in Miami, performing as part of acclaimed choreographer Rennie Harris’ second company, RHAW: Rennie Harris Awe-Inspiring Works. In celebration of this thrilling young troupe’s Miami debut, the Center threw an old school block party, filling the Thomson Plaza for the Arts with DJs, MCs, and Miami’s finest b-boys who threw down in a breakdance battle par excellence. 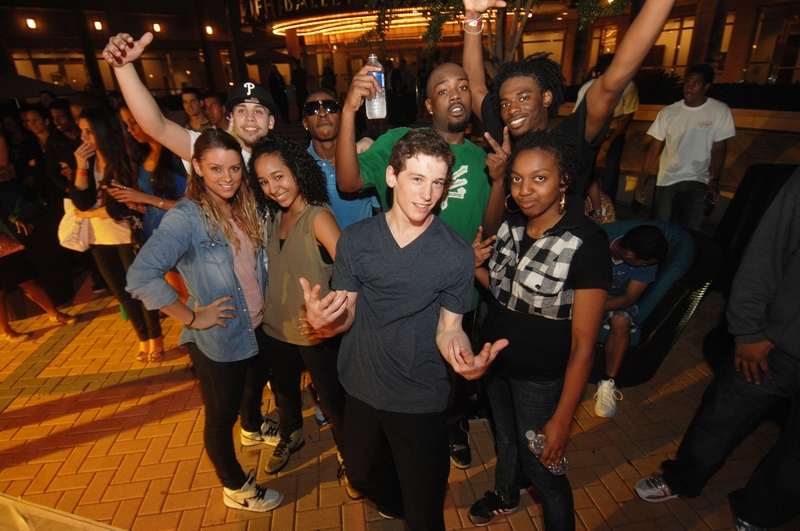 As the official RHAW after party, the B-Boy Battle featured DJ Griot from 99 Jamz, DJ Brimstone/127, Ground Zero Crew, the Flipside Kings, and of course the RHAW dancers who couldn’t help but join in the freestyle jam session. Even Dr. Rennie Harris himself was moved by the spirit of Kool Herc and took to the dance floor to show the youngsters how it is done. Long live hip hop, one of America’s greatest art forms! 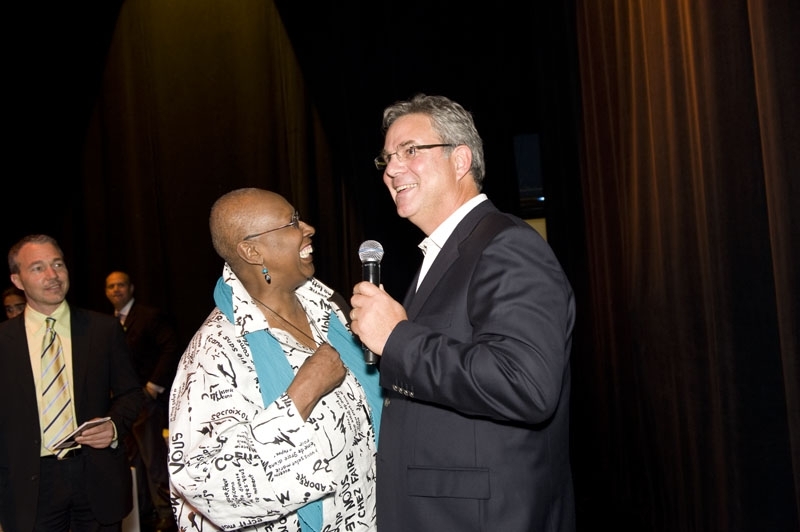 2010 was an epic year for the Adrienne Arsht Center. 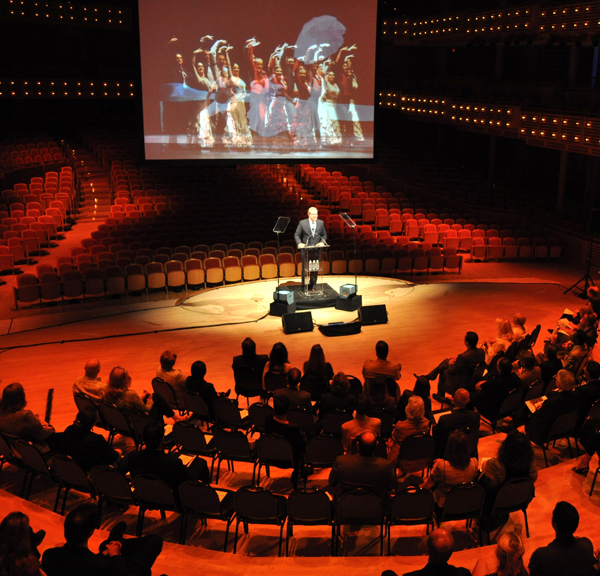 With over 300 performances, public programs and special events as well as some history-in-the-making moments, the Adrienne Arsht Center has left a lasting imprint in the arts community, both locally and nationally in 2010. Have a look at our Year in Photos below and relive some of these timeless moments again.